Finley-Holiday Films produces the Travel America Series of destination DVDs on America’s amazing natural and cultural heritage. From Mount Vernon to Yosemite, from Olympic to the Everglades, there are hundreds of places for you to discover. Entertaining and educational, these broadcast-quality programs feature the best of U.S. travel destinations and outdoor adventure with beautiful cinematography, added insight and great DVD extras. All Finley-Holiday productions are created at our video production facilities in Whittier, California – our location since 1965. Available “on location” and from finleyholiday.com. Finley-Holiday Films is the exclusive distributor of KC Publications’ “Story Behind the Scenery” Series of National Park Books. 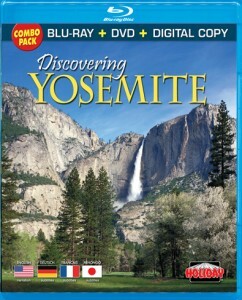 The all-new Discovering Yosemite Blu-ray Combo Pack lets you experience Yosemite like never before – its the next best thing to being there! 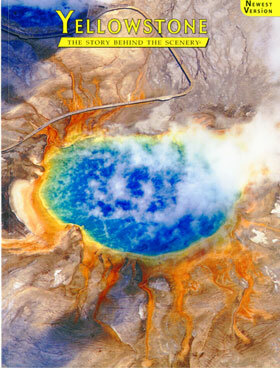 Available on location in Yellowstone National Park and from www.finleyholiday.com. 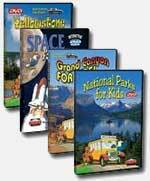 Now a quality collection of interactive National Park DVDs made especially for kids! Each fun-filled DVD features interactive menus that allow kids to explore one subject at a time at their own pace. Also included are entertaining DVD extras such as Name That Animal game. Hosted by Max the Eagle and his animated friends, these DVDs are great for kids of all ages!Visit our Online Store to see all our DVD for Kid’s titles.